2016 has been considered the base year for company profiles. Whenever information was unavailable for the base year, the prior year has been considered. Submarkets refer to the regional subdivisions of the MTBE market. Core competencies of the companies are determined in terms of key strategies adopted by them to sustain their positions in the market. 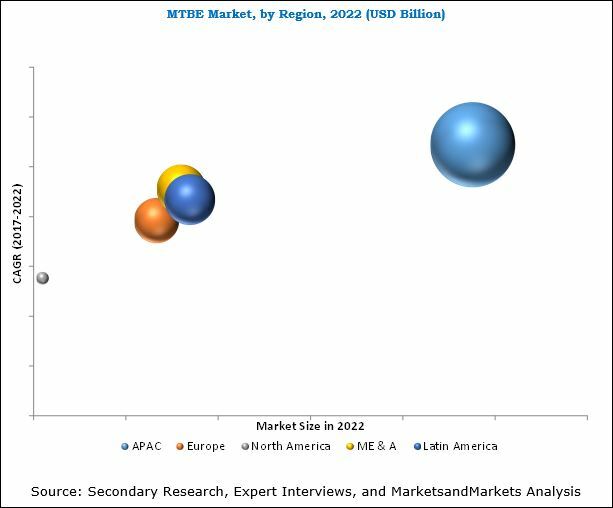 Various secondary sources, such as such as Factiva, Hoovers, and Manta, among others have been used to understand and gain insights into the global MTBE market. Experts from top MTBE companies have been interviewed to verify and collect critical information and to assess the trends in the MTBE market during the forecast period. Top-down, bottom-up, and data triangulation approaches have been implemented to calculate the exact values of the overall parent and individual market sizes. The market for MTBE has a diversified and established ecosystem of its upstream players, such as raw material suppliers and downstream stakeholders, such as manufacturers, vendors, end users, and government organizations. Most of the major players in the MTBE market have undertaken backward and forward integration to strengthen their positions in the market. Some of the MTBE manufacturers include SABIC (Saudi Arabia), Evonik (Germany), China National Petroleum Corporation (China), Huntsman International (US), Eni S.p.A (Italy), Sinopec (China), LyondellBasell (Netherlands), Shell (Netherlands), Emirates National Oil Company (UAE), and Qafac (QATAR). 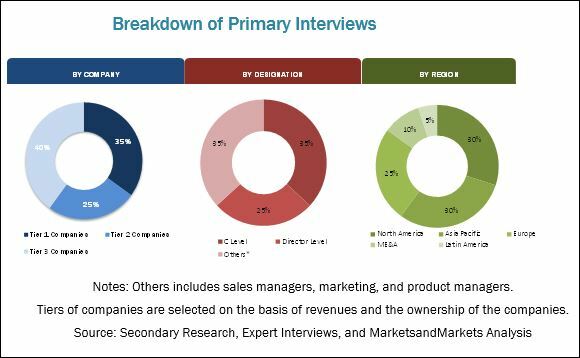 This research report categorizes the MTBE market based on manufacturing process, application, and region, and forecasts revenue growth and analysis of trends in each of the submarkets. The global size of the Methyl Tertiary Butyl Ether (MTBE) market, in terms of value, is projected to reach USD 18.99 Billion by 2022 from an estimated USD 14.99 Billion in 2017, at a CAGR of 4.8% between 2017 and 2022. The market is growing because of the increasing demand from different applications. The gasoline segment is expected to be the fastest-growing segment during the forecast period as the use of MTBE as oxygenate reduces air pollution due to which its demand is increasing for gasoline blending. The major opportunity for the market is the expanding petrochemical application of MTBE, such as the manufacture of high purity isobutylene, highly reactive polyisobutylene, Methyl Methacrylate (MMA), and some smaller derivatives. These products are growing at rates above the global GDP. Replacement of MTBE with ethanol and ETBE is a major restraint for the growth of the market. The global MTBE market is segmented on the basis of manufacturing process, application, and region. Based on the manufacturing process, the MTBE market has been further segmented into steam cracker, fluid liquid cracker, and others. Others include dehydrogenation and dehydration. Fluid liquid cracker and steam cracker are the most commonly used manufacturing processes as these are refinery based processes and are much simpler than other two processes, which are dehydration and dehydrogenation. Major applications in the MTBE market are gasoline and others. Others include high purity isobutene and medical intermediates. Gasoline is the largest application of MTBE, in terms of value. MTBE has been used in gasoline since 1979 due to environmental and health concerns. The use of MTBE as gasoline additive mainly started with the replacement of metallic additives, such as lead and Methylcyclopentadienyl Manganese Tricarbonyl (MMT). The significant volume of MTBE consumption in gasoline is driving the demand for MTBE in the gasoline application. Rapidly increasing vehicle fleets especially in emerging economies and increasing urbanization is driving the demand for MTBE in the gasoline segment. APAC is the largest market for MTBE, majorly driven by the growing demand for gasoline blending as it enables reduction in harmful carbon emissions caused by the burning of gasoline. Middle East & Africa and Latin America also have significant demand for MTBE for gasoline blending due to growing urbanization in the regions. China is the largest and the fastest-growing country in terms of demand for MTBE for gasoline blending because of its large population and high growth economy. Fluid liquid cracker is the leading manufacturing process in the MTBE market. This is because this process is much simpler than other processes, as, in this process, isobutene is extracted as a byproduct from Fluid Catalytic Cracker (FCC) overheads. Significant capital is required to set up MTBE producing plants. MTBE is mostly produced at refinery-based plants due to which it is difficult to set up new plants as the cost of setting up a new refinery is very high. In addition, there are legal and regulatory barriers in many countries due to environmental and health issues related to the use of MTBE as an oxygenate. Due to this, the threat of new entrants in the MTBE market is low. The intensity of competitive rivalry is moderate because MTBE used for gasoline blending is undifferentiated due to which there is high competition in the market. However, the presence of a few large MTBE producers in the market is leading to low competition in the market. SABIC is the world’s largest producer of MTBE, and has a production capacity of 3200 KT per annum. In the fiscal year 2016, the company generated total sales of USD 35.40 billion. The company has been producing MTBE since 1987 and has been producing MTBE through the TBA and fluid liquid cracker processes. The MTBE produced by the company is mainly used for gasoline blending. The company has adopted the acquisitions strategy to increase its market share around the globe. It supplies MTBE to various regions, such as Europe, Americas, Asia, and MEA. 10.11.2 Enterprise Product Partners L.P.